I am originally from Cleveland, OH and I worked in a steel forging factory before leaving home, but I never thought I would be cutting chunks of metal off of any vehicle that I own. I did just that as part of the OR-FAB Front Bumper install. 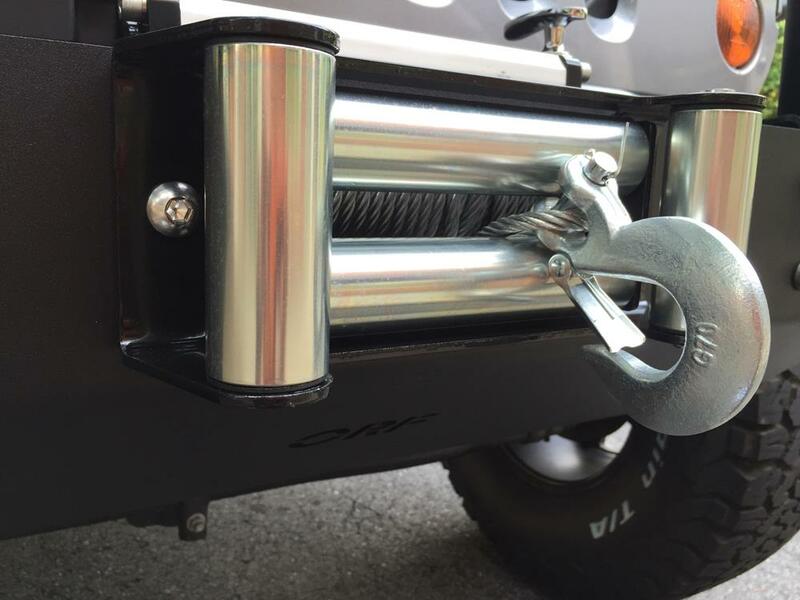 I chose OR-FAB’s Stubby Front Bumper, Model 83222, which comes with a winch mounting plate, hoop, light mounts, d-rings and shackles. 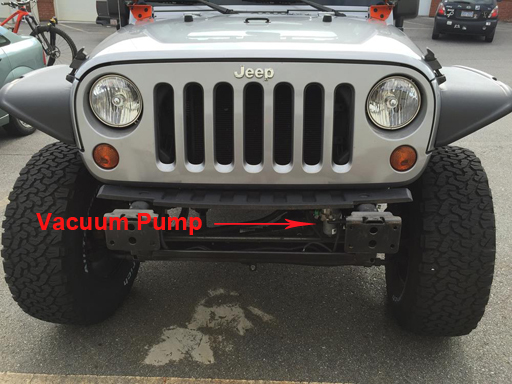 The bumper is made from 3/16″ plate steel with 1/2″ thick steel mounting brackets. The front bumper/winch combo was the most challenging piece to install on our build thus far, but well worth the sweat (and occasional swearing) once we were finished. To get started, I had to take off the factory bumper, splash guard, and plastic spacer between the grill and bumper. The wiring harnesses needed to be removed from the fog lights and the wiring clips removed from the lower crash bar. The Jeep is pretty crazy when left with just the frame horns! Here is where the fun began and the sparks started flying. I took off some steel on either end of the lower crash bar with an angle grinder in order to make room for the new bumper. 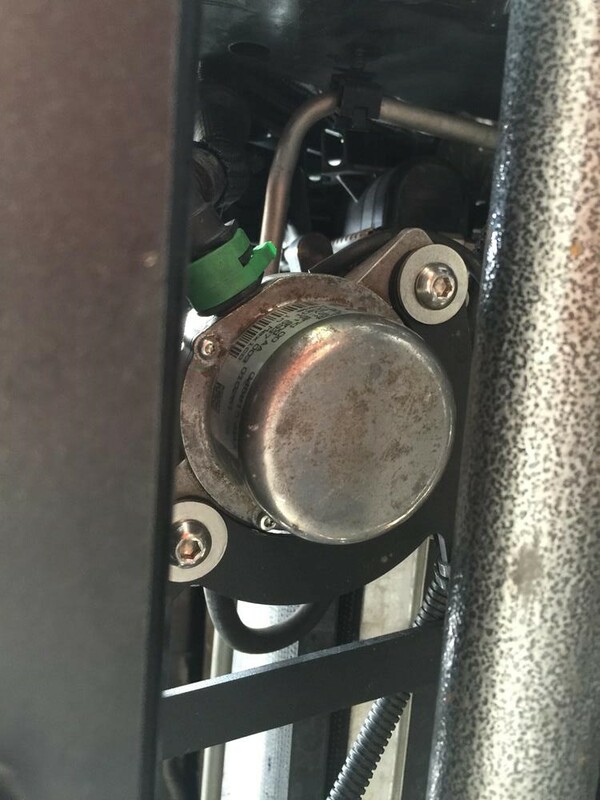 Then came the tough part, dealing with the Vacuum Pump that is bolted to a bracket just inside of the driver side frame rail. You probably never knew this thing even existed because it is so well hidden by the factory bumper. In order for the winch and winch mounting plate to fit inside the OR-FAB bumper, this baby has got to be relocated. 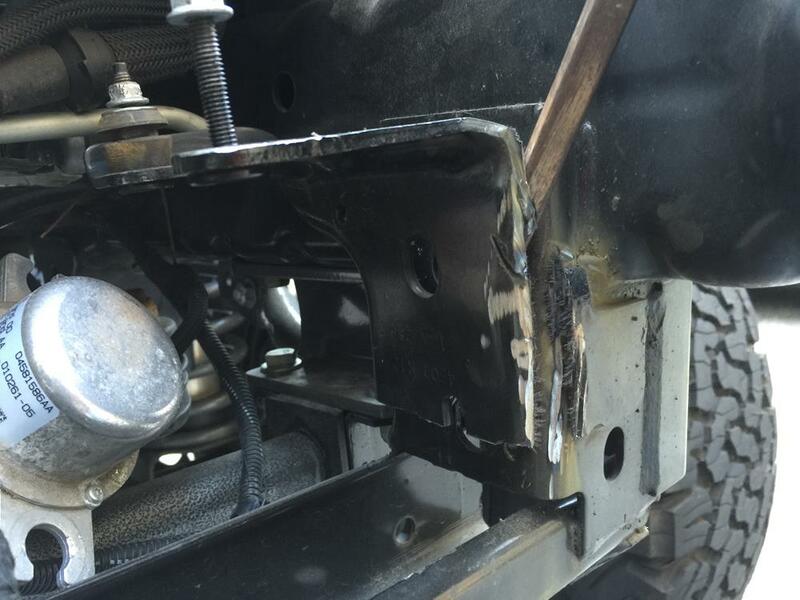 You must cut off the bracket that holds the pump from the driver side frame rail. I could have benefited from a smaller size cutting tool that would more easily fit into the small space. As it was, I totally destroyed the bracket in the process of cutting it away from the vehicle. I will need to do some filing to make my cuts look better – it got ugly. Since the recommended relocation spot for the vacuum pump is already taken by my sPod source system, I will need to get creative in where to mount this darn thing. For now, zip ties under the lower crash bar will do nicely. 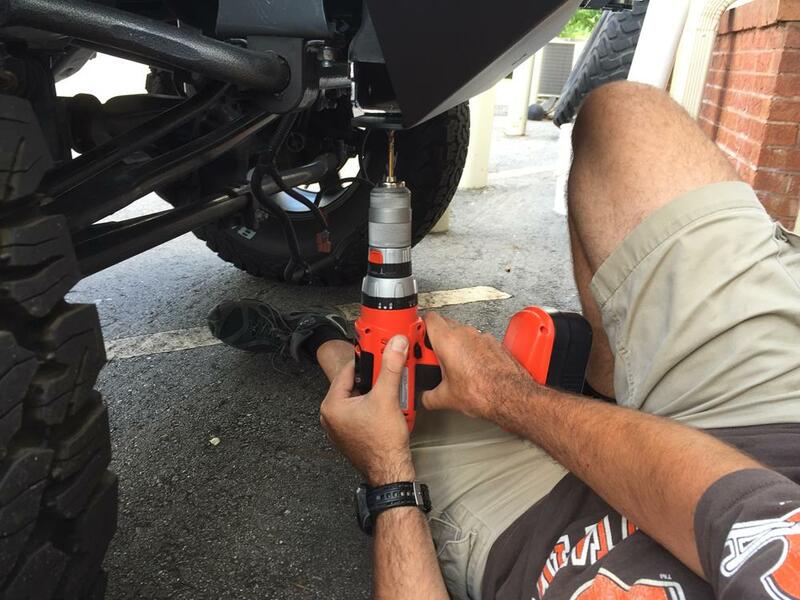 We are going to try to modify the OR-FAB vacuum pump bracket and bolt it onto another part of the Jeep. 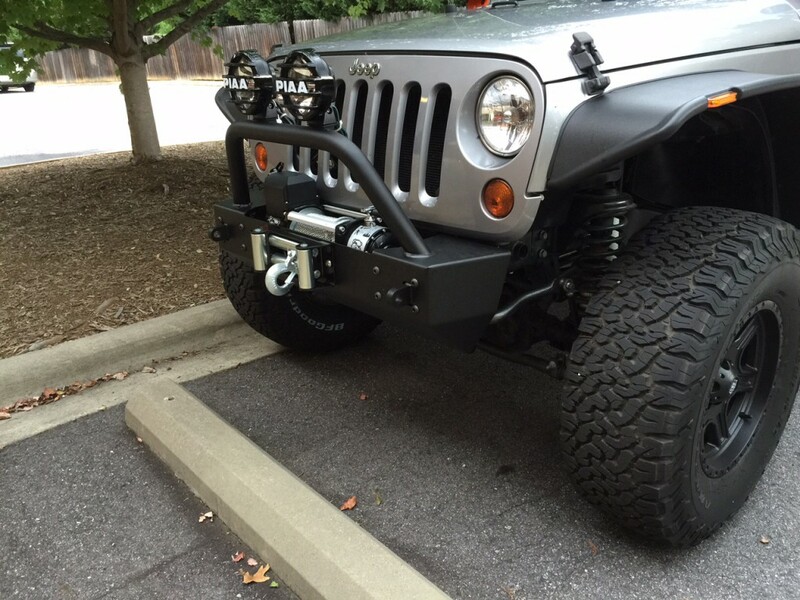 We lowered the winch plate/winch assembly behind the bumper and attached the side plate brackets. 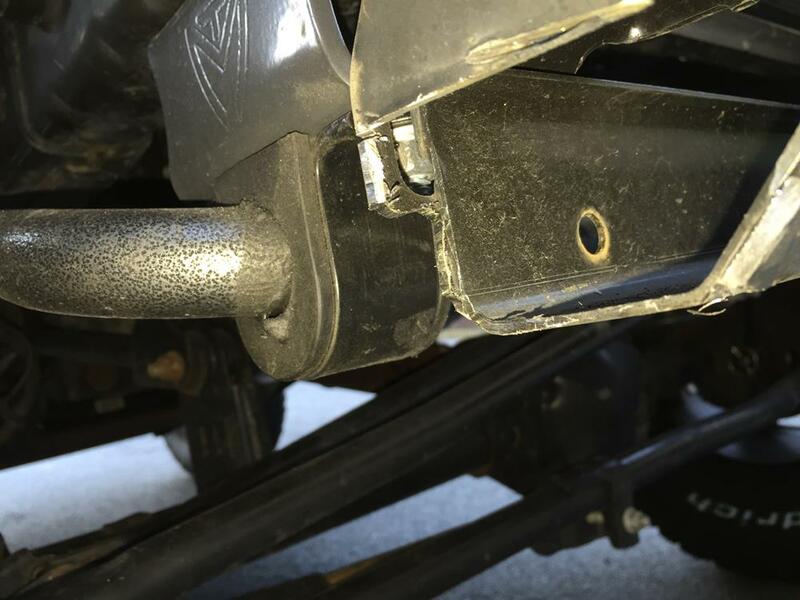 If you attach the side plate brackets to the winch plate outside of the bumper, the resulting assembly cannot fit between the frame horns (you know it always pays to believe what the instructions say!). 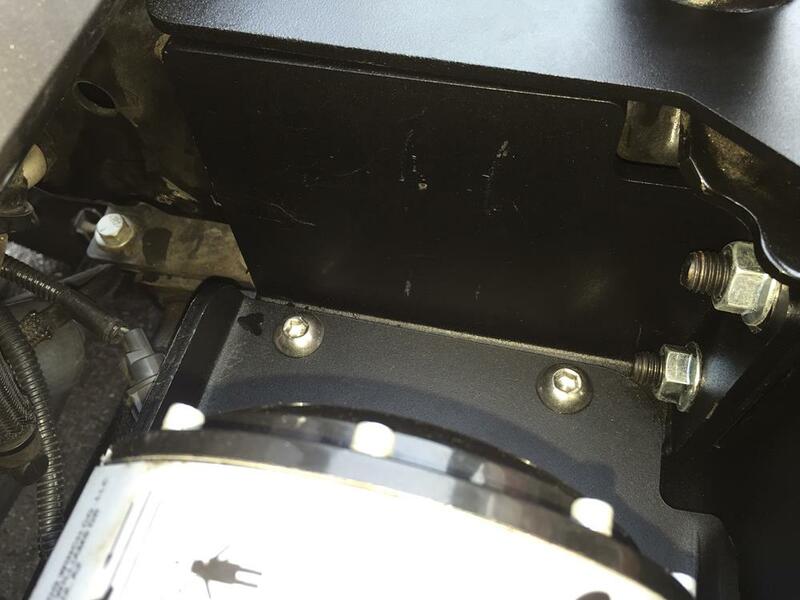 We lifted the winch plate/winch/side bracket assembly up to rest on the (4) bolts on the inside of the d-rings and tightened the nuts over the bolts. 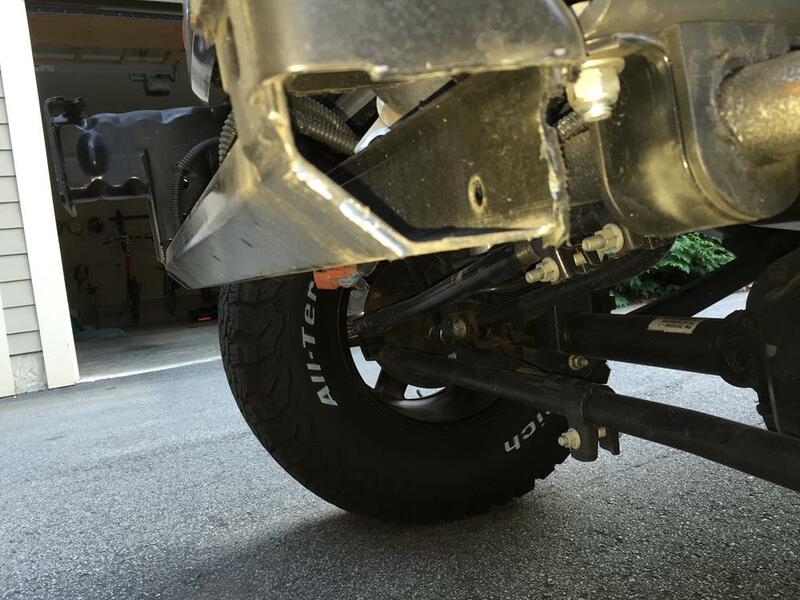 I bolted the winch’s fairlead to the bumper and the winch plate. 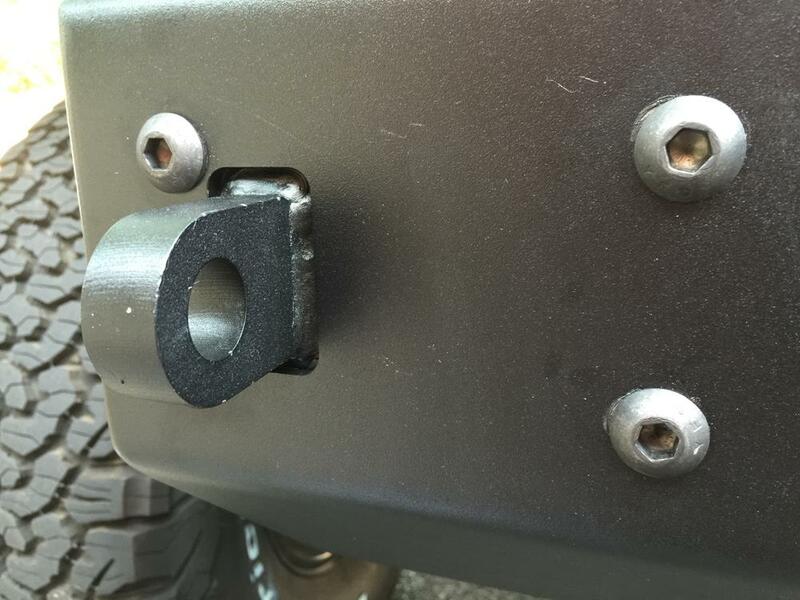 Next, I drilled a hole through the lower crash bar and bolted the bumper to the crash bar. 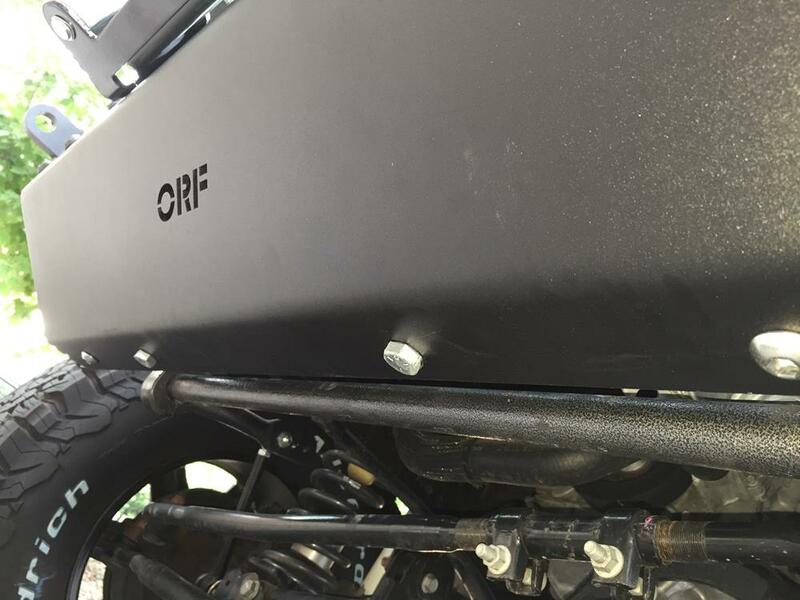 The (2) middle bolts extend through the bumper and crash bar all the way up through the winch plate. 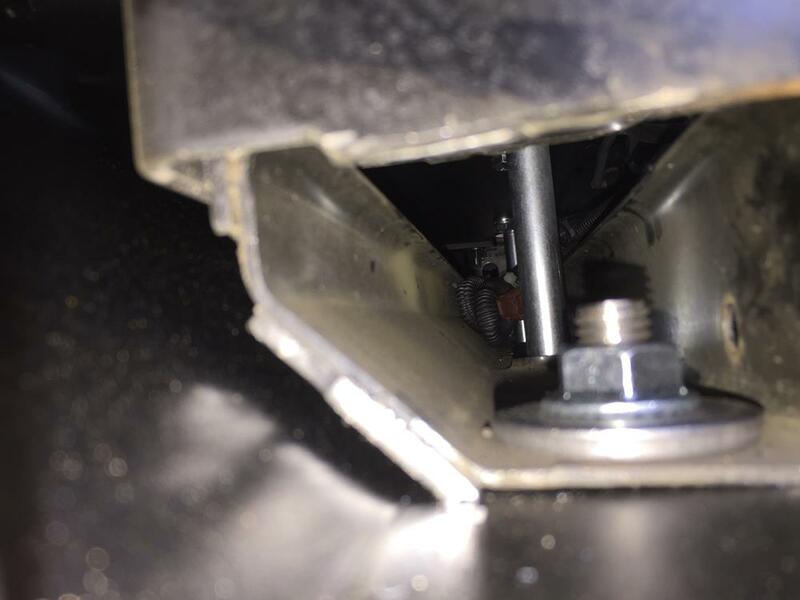 The section of the bolt that runs between the crash bar and the winch plate is covered by a crush sleeve. We used thin washers to make the sleeves fit tightly between the bar and the plate. Like I said, completely worth it in the end. Great bumper! Make sure to go back around the whole bumper and tighten all bolts firmly in place. I am going to paint the shackles orange in custom painting part 2. Check back for updates. Thank you OR-FAB. 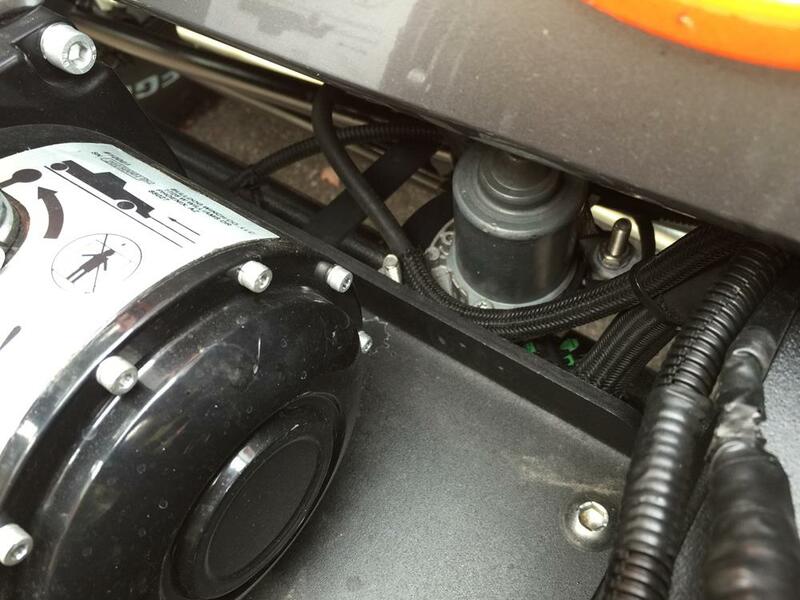 I found a place to mount the Vacuum Pump Bracket under the vehicle with the help of Truck Toys and 4×4 Center. We were able to bolt the Bracket to the underside of the winch platform. 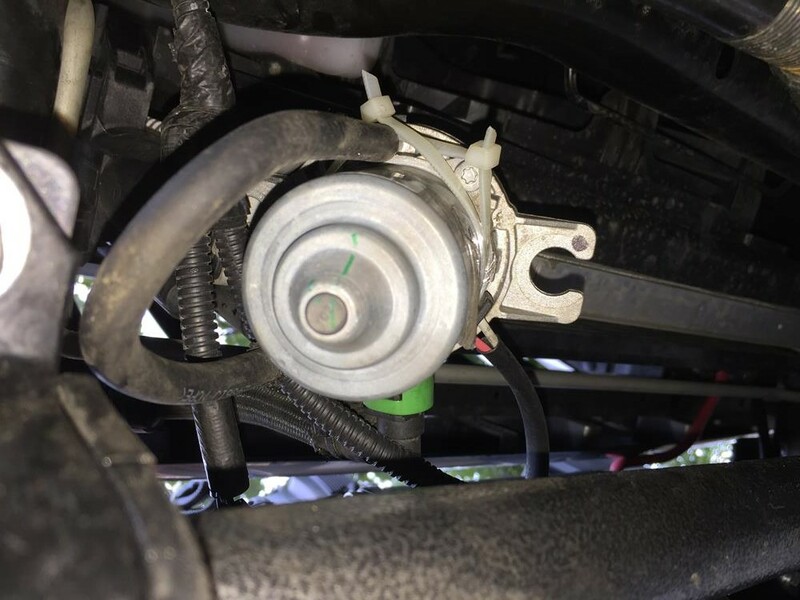 We bolted the pump up-side-down on the bracket to keep it from contacting the moving parts under the vehicle. Not a bad solution to a pain in the neck problem. Sure beats zip ties.